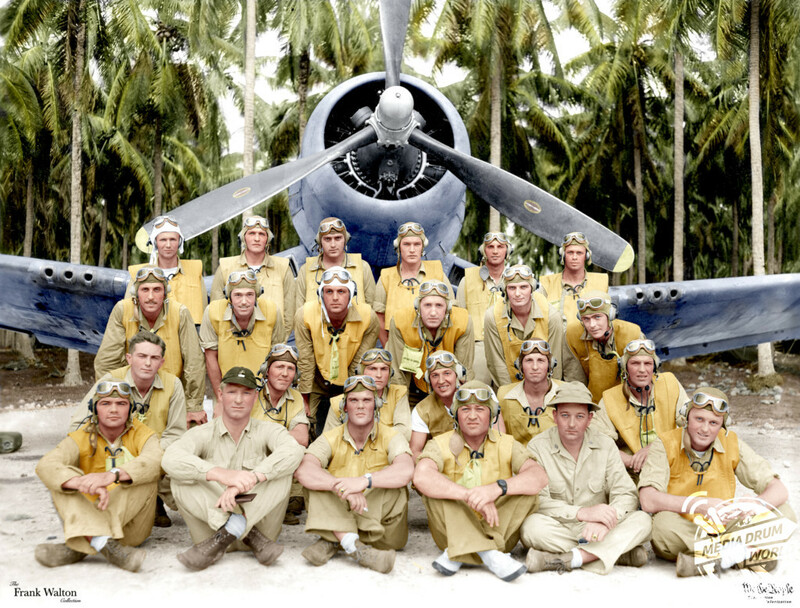 FASCINATING pictures of America’s famous WW2 Black Sheep Squadron whose efforts helped win the war in the Pacific have been released in vibrant colour. 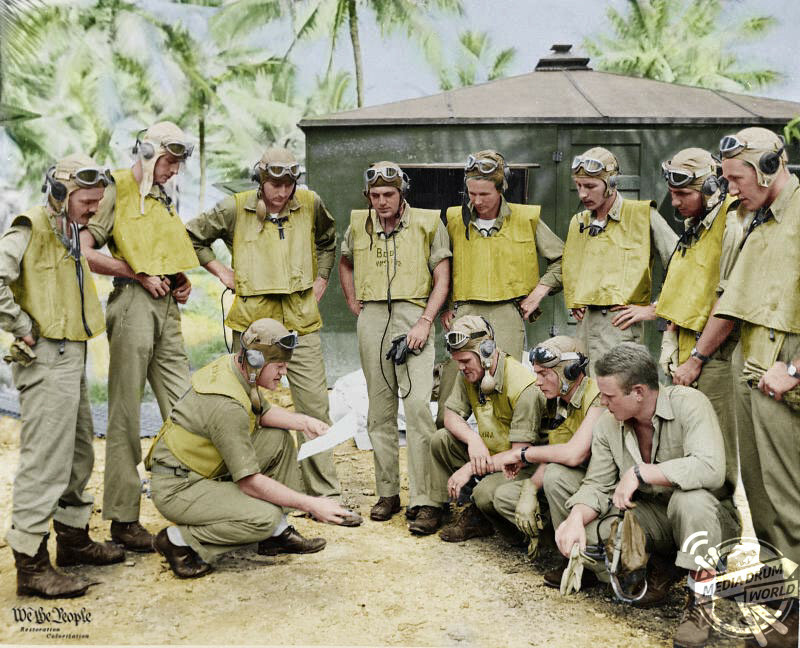 The incredible series shows the squadron’s commanding officer, Colonel Gregory ‘Pappy’ Boyington who received the Medal of Honour and the Navy Cross, briefing his men on strategy and tactics before the October 17, 1943 attack on Kahili airdrome at Bougainville island, Papua New Guinea. Here, Pappy and 24 fighters circled the field where 60 enemy aircraft were based to goad them into sending a large force. In the air battle, 20 enemy aircraft were shot down and the Black Sheep (VMF-214) squadron suffered no losses. 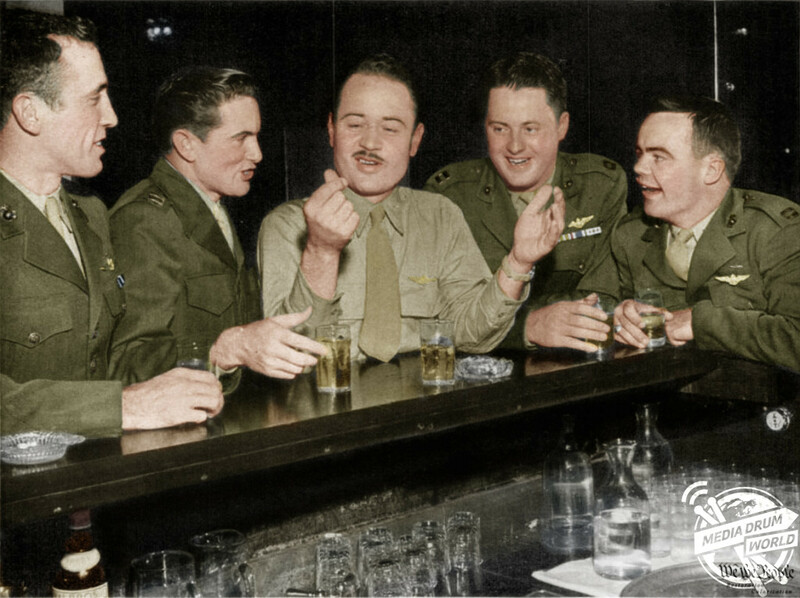 Other shots show Pappy in the cockpit, being interviewed on television at his homecoming and reuniting with his Black Sheep comrades, Chris Magee and Bill Case at a bar at San Francisco’s St. Francis Hotel after the war in late 1945. 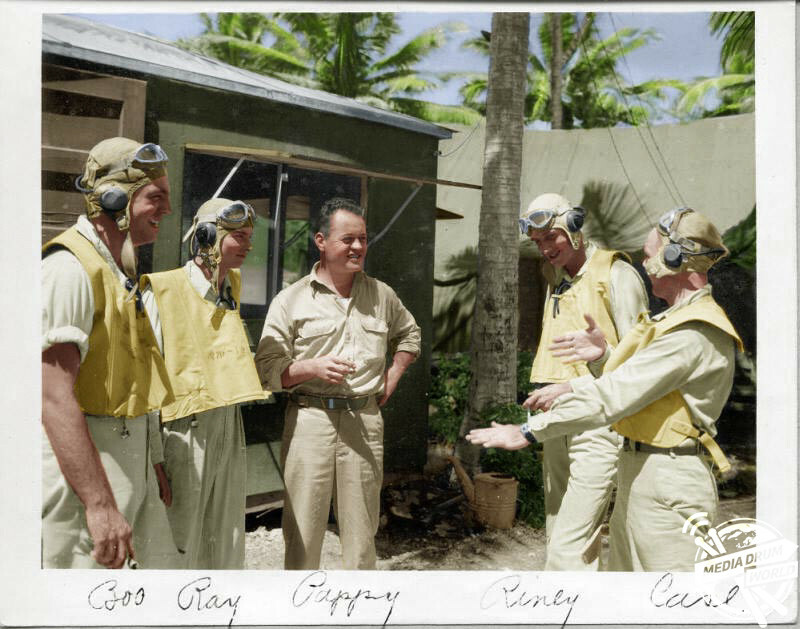 The series of pictures, most originally taken in the South Pacific between September 1943 and January 1944, were brought into the 21st century by colourist, Craig Kelsay (54) from Pearland, Texas, USA. “The Black Sheep are a famous squadron from WW2. When I was a kid there was a television fictional show about the squadron that I watched regularly. It made me curious about the real Black Sheep and I found the real story much more compelling than the fictional story could ever be,” said Craig. “These are brave men who faced impossible odds to defend their nation and win the war in the Pacific. 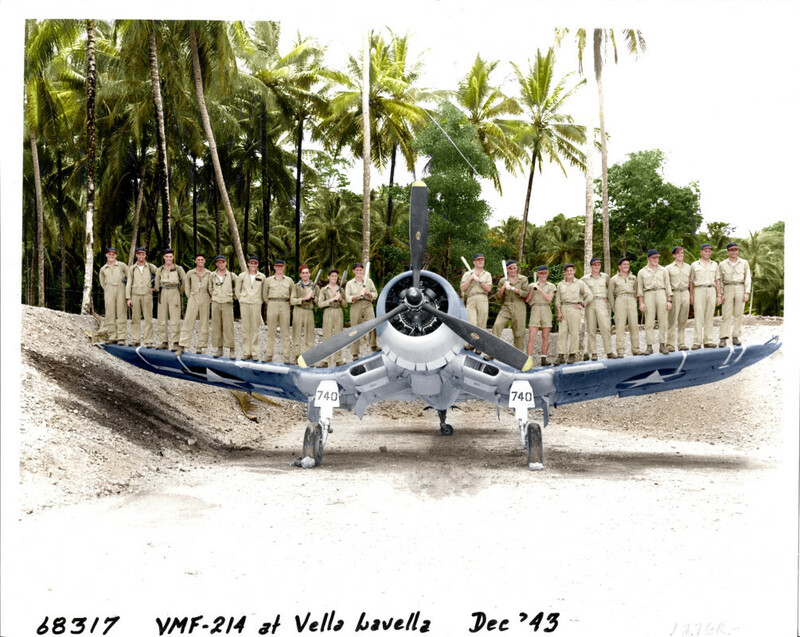 “The founding members of VMF-214 were exceptional men who overcame incredible odds to become one of the best fighting squadrons of WW2. 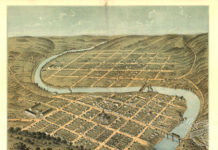 “Much more interesting than the image created by the television show back in the 1970s. Many of the members of the squadron hated the television show because they felt that it made them out to be ridiculous misfits when in reality they were well educated fighting Marines. 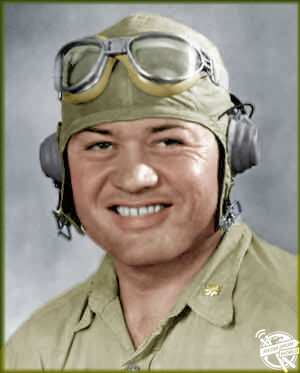 Marine Attack Squadron 214 (VMA-214) is best known as the Black Sheep of WW2 and for one of its commanding officers, Colonel Gregory Boyington who was sent to lead the squadron in August 1943 after a successful tour in China where he had been credited with multiple kills of Japanese aircraft. 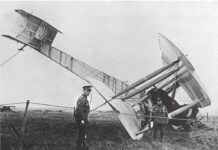 The Black Sheep squadron fought for 84 days. 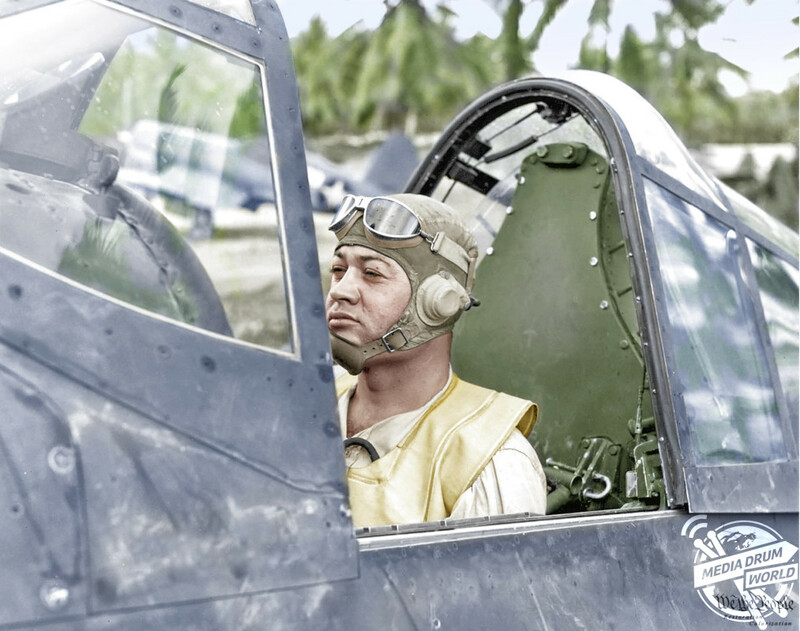 They achieved a record of 203 Japanese planes destroyed or damaged, produced nine fighter aces with 97 confirmed air-to-air kills and sank several troop transports and supply ships. They were awarded the Presidential Unit Citation for extraordinary heroism in action. 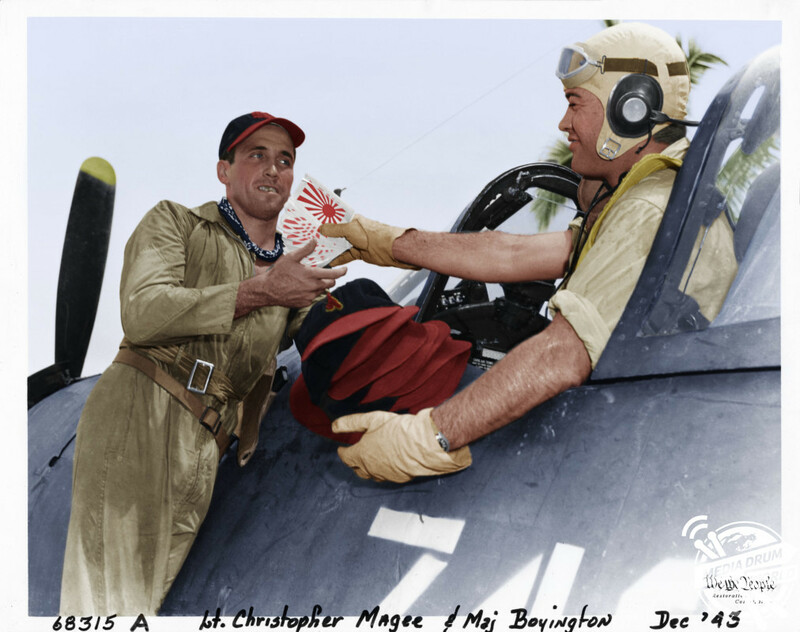 The Black Sheep ended their second combat tour on January 8, 1944, after Boyington was shot down and captured by the Japanese. 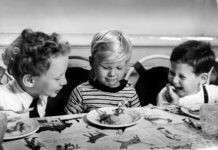 Craig explained how he first got involved in colourisation and what he loves the most about it. “I got interested in photography and started using learning photoshop. 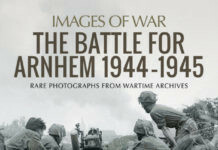 I colourised a picture of my father from World War II and became obsessed with getting better at it and I am still working on getting better,” he said. “My favourite reaction is where people feel closer to the history because they feel the photo looks real. 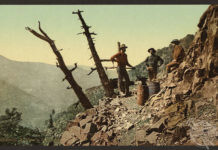 Striking images like these are featured in British author Michael D. Carroll’s new book, Retrographic on the colourisation of historical images. It is available on Amazon now for £16.85.